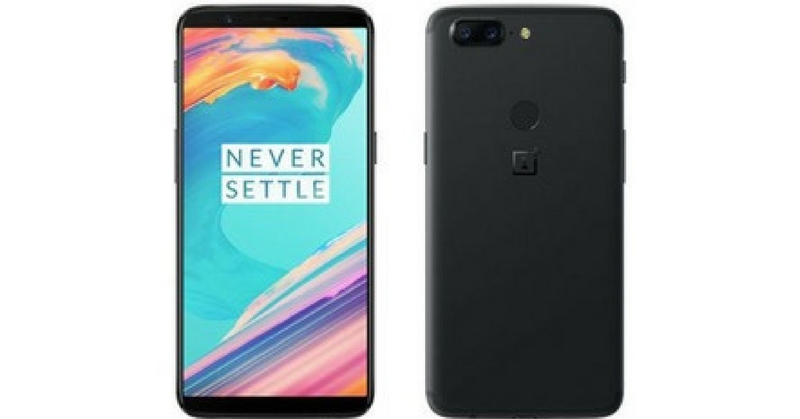 The OnePlus 5T is the latest flagship phone of the Chinese smartphone manufacturer, OnePlus. OnePlus was founded by Pete Lau and Carl Pei back in 2013 and has since released 7 phones, amongst other products. OnePlus rose to fame with their first ever flagship smartphone, the OnePlus One, having the best of both worlds of an iPhone and an Android. Being affordable and user-friendly, OnePlus listens to their consumers and gives us what we want. The founders have expressed that they aspire to be the “Muji of the tech industry”, emphasizing their focus on high-quality products with minimal and user-centric designs. The OnePlus 5T was released in November 2017 and was officially brought into Malaysia by Brightstar just recently, making it a fairly new phone to the Malaysian market. It features a redesigned 6.01″ Full Optic 1080×2160 AMOLED display. It is claimed to provide a crisp and bright experience even when used in bright and sunny environments. It uses the 18:9 aspect ratio instead of the standard 16:9 – a 80.5% screen to body ratio, a trend for the newer phones of 2017 and as seen on other flagship phones. It has a pixel density of 401ppi and has smaller bezels compared to its predecessor. It uses 2.5 Gorilla Glass 5 as protection for the display and comes with a screen protector once you open it from the box. With no physical hardware buttons on the front of the device, it uses virtual navigation keys instead – similar to the iPhone X and Samsung Note 8. It’s made entirely from anodized aluminum, giving it a similar sleek look to the matte black iPhone 7. It is comfortable in the hand due to its curved edges, making it super easy to hold compared to box square phones. However, due to its aluminum body, it is quite slippery so it is best to use a case. The fingerprint sensor has been moved to the back and uses ceramic coating. It is at a great spot, unlike the Samsung Note 8 or S8 where it is near the camera, so it is easily accessible and you won’t accidentally leave fingerprints on your camera. It also has an ‘Alert Slider’ located on the left side of the phone that allows users to set their notifications to silent, vibrate and so on. It also has a headphone jack, thank God, and a mono speaker located at the bottom of the phone. It is dual-camera phone, like most flagships these days. The main lens is a 16MP Sony Exmor IMX398 lens and the secondary is a 20MP Sony Exmor IMX376X lens, both with an aperture of f/1.7. The secondary lens is not a telephoto lens, compared to most dual-lens phones – but rather one that helps with low light photography. It also has ‘Portrait Mode’. It is capable of shooting 4K videos at 30fps and 1080p at 30 or 60fps. The front camera is a 16MP Sony Exmor IMX371 lens with a f/2.0 aperture. It is powered by the Qualcomm Snapdragon 835 with Octa cores – a beast for performance. It comes with the choice of either 6GB RAM with 64GB configuration or 8GB RAM with 128GB configuration, with no SD card slot for extra memory. It features a non-removable 3,300 mAh battery, similar to its predecessor. It ships with Android 7.1.1 Nougat with OxygenOS user interface. It is said that Android 8 Oreo will be available down the road. With OxygenOS, more features can be found such as night mode, reading mode and more. There is not much bloatware as well – other than the usual apps that are pre-installed. Face Unlock: Like the iPhone X, facial recognition can be used to unlock the phone. Since it uses 2D scanning, it is faster compared to the iPhone X and the iris scanner of Samsung. However, it lacks the ability to authenticate purchases, does not work well with dark lighting and is said to be not as secure. Dash Charging: Although it does not have wireless charging, the Dash Charging feature can charge the phone from 0% to 100% in about an hour. It is surprising that the OnePlus 5T is quite affordable, even with its features that challenge most flagship phones from the big players. The local set with a Brightstar warranty costs about RM2400 for the 64GB configuration variant, which is less pricey than its competitors, like the Huawei Mate 10 Pro, Samsung Note 8 and iPhone X. Performance is what makes this phone a beast. Even with your usual apps and games running and with daily use, there is no lag whatsoever. Although it does not market to be water resistant, the phone can withstand minor water splashes. The camera is fairly good. Low light photos are average but it is true to color and bright. Portrait mode works well. Videos are automatically stabilized, so you won’t get any shaky footage but it does have some minor glitches of shakiness – as you would have if you try to stabilize footage. Battery life is above average, with a full charge lasting you the whole day. It feels good in the hand too – even with its size and that is due to the sleek design and curved edges. Let us know what you think of the OnePlus 5T. Does it compare to the other flagship phones or will it just be another Android that’s ‘trying too hard’?